Come out to our local event to sell preloved newborn clothing up to the age of 5 years old and other items. 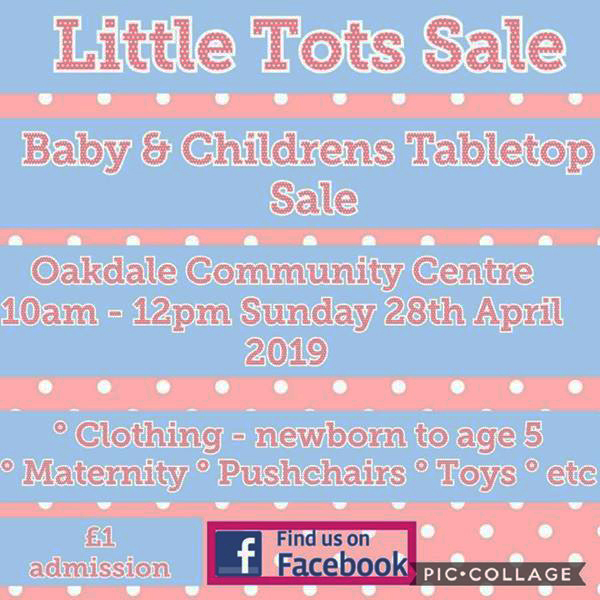 You may find bargains - anything from children's clothing, maternity items, toys, to nursery items, baby baths or even pushchairs. Join us to make some extra money as a seller or grab yourself a bargain for your child as a buyer or both. To book a space in the venue is just £6. This will include your table with ample floor space to sell. Hanging rails can be hired from us at a small additional cost (subject to availability). Please contact us for details and availability. Small businesses selling children's items welcome. General admission; £1 for adults on the day. Overpaid, oversexed, and over here! 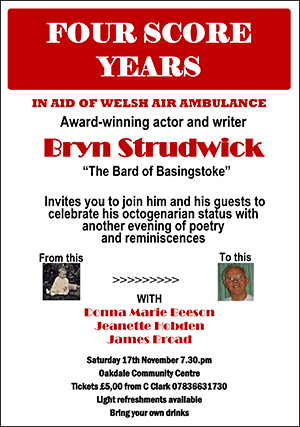 The "Bard of Basingstoke” invites you to join him and his guests to celebrate his octogenarian status with another evening of poetry and reminiscences. Join us in the square for our annual Remembrance Day event as we pay tribute to the war dead from our community. The march will assemble at 10.40 am by the Presbyterian Church on Penmaen Avenue. 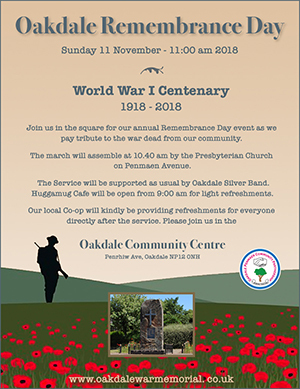 The Service will be supported by Oakdale Silver Band. Our local Co-op will kindly be providing refreshments for everyone in the centre directly after the service. 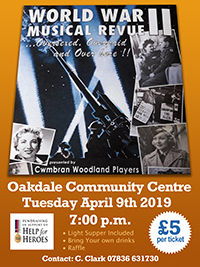 Oakdale Community Centre is joining the national campaign by hosting this event for the entire community. Please come by and show your support. Everyone is welcome! 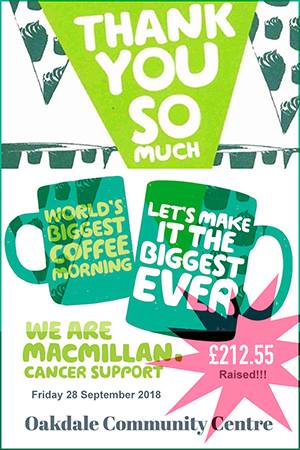 With over 30 people in attendance, we're proud to announce that a total sum of £212.55 was raised for Macmillan Cancer Support. Thank you to everyone that attended this very special event!